Breckenridge is modern farmhouse styling with a perfect collaboration of eclectic and casual tones. 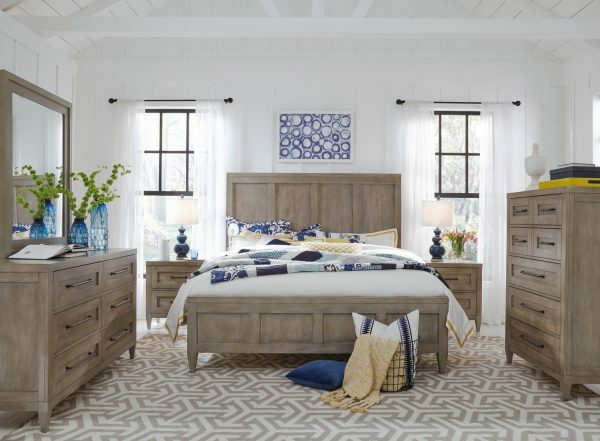 Design themes such as simple framed panels, raised tapered feet and planked tops combine with a casual mixture of finishes and materials to create this total home collection. The Barely Brown finish and Dark Indigo Blue color on select items add interest to every room. Wrought Iron finished hardware and accents complete the look. Crafted of Poplar Solids and Radiata Pine veneers with the quality and built-in functionality Legacy Classic is known for.